There are plants that emit mercury!? Are any of these growing in my garden? How is this possible? I don’t remember this from when I studied horticulture in college. Then she quickly realizes that they are talking about another kind of plants… power plants. On Saturdays, she likes to read the gardening column written by the local garden writer. If she misses it in the newspaper, she reads it later online. Sometimes, when she reads something in the newspaper about gardening that she doesn't agree with, she takes umbrage! She also laments that newspapers don’t provide very much space for columns and articles about gardening anymore. To console herself, she reaches for one of her books by Henry Mitchell or Elizabeth Lawrence and reads their collections of newspaper columns from “back in the day". And then she’s even more thankful for gardening blogs, because without them, how would she know what gardeners are thinking about these days and what’s new in gardening? Oh, dear, someone has gardening on the brain! I can't imagine how wonderful it must have been to open the paper and read columns by those writers. I so agree with you, thank goodness for garden blogs. I shudder to think what my sanity would be like after a long winter without them. It would be a long winter without blogging, bloggers and good garden publications! I am sure that B&N, Borders and Book a Million hate garden blogs since people read so many any more. Some don't have time for books. A sad thing to think. 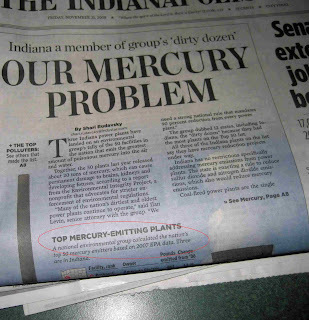 Garden plants emitting mercury...thanks for the laugh! I can't imagine living without garden blogs now, even though I've only been onto them for a few months. Whew! I'm not sure what it means when I wake up early on Saturday..the one day I could sleep late...and I get up because the garden section is in the Saturday paper. But maybe it just means I'm a gardenerd! I had the excellent good fortune to live in the DC area when Henry was writing for the WP. Wonderful. Now, I have all his books. And you are correct, the space allotted to garden writers in newspapers is shrinking. We are just taking up the slack! We are not slackers! Well, until you clarified, I thought they were talking about "our kind" of plants, too, Carol! In fact, I thought, "Man, I thought that plants take bad stuff out of the air, not put bad stuff back into it!" lol. I wonder if you could somehow use something like that so that people could just post links to their GBBD posts at the end of your "wrapup" post? 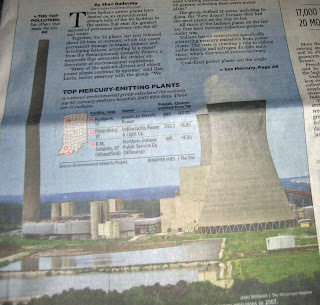 Carol, I am SOOOO glad you found out that living, green plants don't emit mercury! What a relief! I'm just stopping by to say hi! I have a quick question for you, though. I get so confused with comments...where to respond,etc. A lot of people seem to leave replies to their comments on their 'own' blog, but this confuses me, as after I make comments, I don't often remember to go back and check right away and I probably never see their comments. I often just visit people regularly and comment on their sites...although I don't regularly respond to the exact comment someone makes on my blog. What do you think is best? It gets so overwhelming at times...so many blogs, so little time. I just forget which blogs I've commented on, and therefore, can't go back and see the owner's reply to my message. Perhaps I should make notes of who I comment to and when? Is that how you keep track??? And non-gardeners (yup, like me) love your gardening blogs, too! 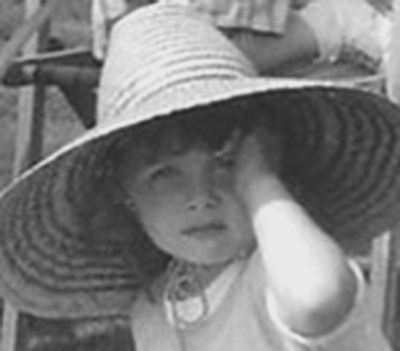 Thanks for the humor, the gorgeous pictures and the way you shed light. We should all be digging and planting something lovely. I hear you, I sympathize, and I totally agree. Carol - the only thing you left out there was the, :gotcha!" And you did! Don't you just love Henry Miller? I first read him in the dead of winter sitting in my old greenhouse in the sunshine, and just loved it. I guess I'm lucky to still be writing my weekly column after five years. This made me laugh, Carol - the word 'plant' has caught my eye and it's always a surprise to find out it's a factory, not alive. If Henry Mitchell were still around he's be getting ready for an 85th birthday on Monday. Our Austin newspaper doesn't have a garden columnist but they sometimes publish articles by writer/bloggers Renee Studebaker and Robin Chotzinoff. Wow, you have time to blog and read the newspaper?!! I used to read the paper while eating breakfast, but lately I've been eating breakfast at the computer. I'm not even catching the TV news daily, as I like to. I would have thought the same thing about the mercury. And thank goodness for garden bloggers, in fact all bloggers. Our newspaper does publish a gardening page every week, it is more for beginning gardeners. But anything is wonderful. He also does a whole online section on the internet.